The Woodson History Center offers a unique opportunity to hold your event or special meeting in the historic home of A.P. and Leigh Yawkey Woodson. The first floor of the home has been restored revealing once again the true beauty of this elegant home. Rent the historic dining room for special meetings or small gatherings of up to 18 people. The historic living room can seat 40 people banquet-style and up to 65 people theater style. Both rooms can be rented together for a small reception or gathering of up to 100 people. The lower level conference room can seat up to 100 people. It is perfect for large dinners, speakers or presentations, receptions, and more. In need of a space to hold meetings regularly? The rooms in the Woodson History Center can be reserved for your weekly, monthly, or annual meeting. 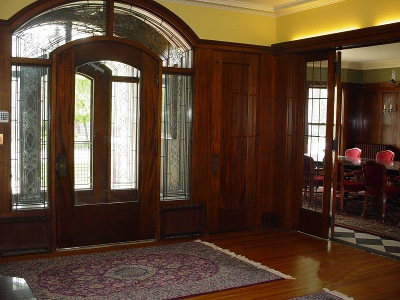 Call us today at 715-842-5750 or fill out our online contact form to learn more about renting the Woodson History Center for your next event or special meeting.